Honorable Mr Davies Jiva, AUSC Malawi National Representative. 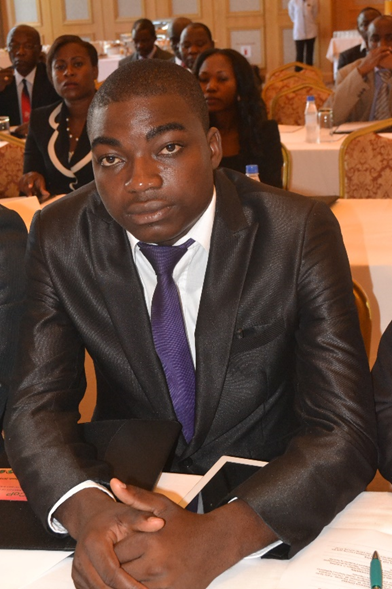 Davies Jiva is a fifth year student of Land Economy at the University of Malawi. This development ushered him into the real estate profession. He is passionate about civic leadership especially in volunteerism, activism and lobbyism. He is the immediate former President of University of Malawi Students Union. Currently, he is a voluntary facilitator and mentor of My Life My Choice, Youth To Youth and Citizens Climate Lobby. He motivates both primary and secondary school students in areas of leadership, entrepreneurship, career guidance and girl child empowerment. He also engages in with elected officials, the media and the public to generate political will necessary for passage of Carbon Free and Dividend proposal. In 2014, he grouped with his university colleagues to form a student organization called ‘My Life My Choice’ with an aim of mentoring and empowering secondary students. After its inauguration, the behavior of students changed abruptly. His ultimate goal is establish in civic leadership in a quest to transform the lives of marginalized. AUSC must be utilized as a body through which students’ voice is heard in respective nations, Africa and the world at large. Thus, a coordinated voice of students and youth in Africa which thrives to see transformation of Africa from poverty to prosperity. AUSC must be a platform which should foster unity among the students and youth of Africa. Unity would help African students and youth to speak with one voice and have well-coordinated efforts and initiatives aimed at achieving SDGs and African Union Agenda 2063. AUSC should exist to coordinate and represent all national students union on general matters that affect students of Africa at international conferences and think tank organization such as African Union, United Nations, Francophone as well as The Commonwealth meetings. To promote peace and tranquility within a nation and between nations to achieve African Union Agenda 2063 and SDGs. There is unrest and political instability in some African countries a situation which negatively affect students and the whole citizenry. Peace building mechanisms should be developed to prevent and minimize if not end conflicts. Peaceful nations and Africa will translate to a prosperous society because people will be involved in development activities with great passion without any fear of war breakout. Finally but not least, AUSC should exist to protect the interest of students by engaging in activities that facilitate realization of students’ aspirations. Equally important, it should also maintain its existence to defend the rights of education, particularly the right to education.